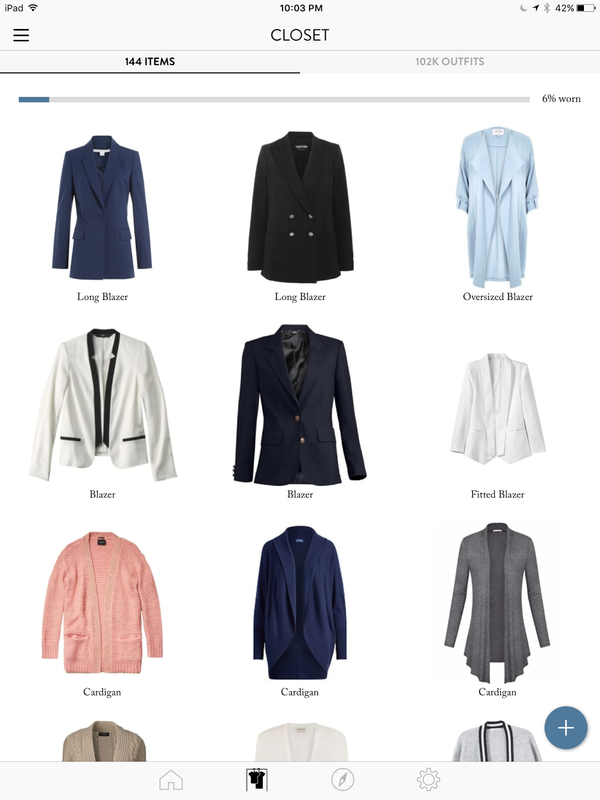 This week, I am testing out a new fashion app that set out to revolutionize how we do Capsule Wardrobes!! I saw this app mentioned on Audrey's website 'Putting Me Together' and wondered what it was like. ( Link ) I had abandoned most of my previous fashion apps because I switched phones between Apple and Android and really missed the 'Randomize' function in Closet+ which only works for iPhones. I have an iPad but there is no service available for it! I started out with their 3 day trial. 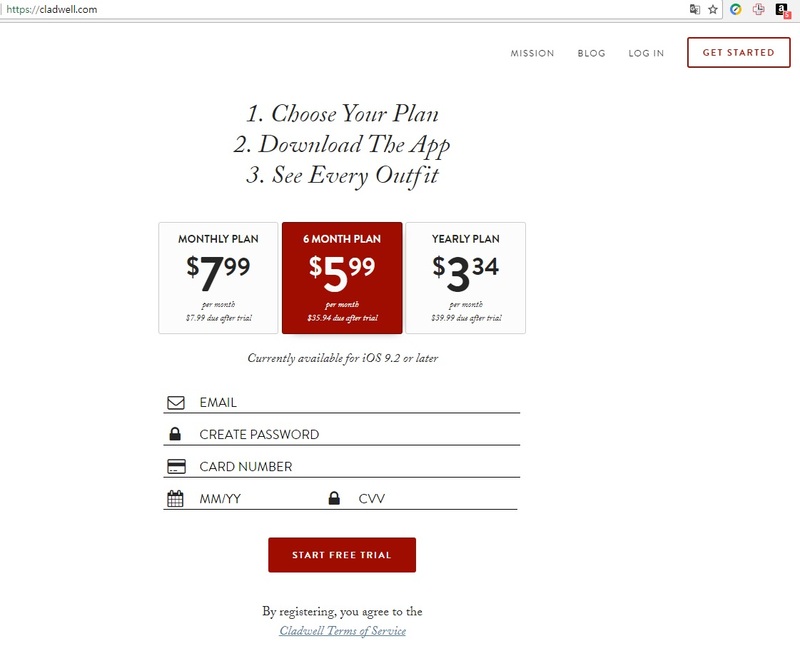 To cut to the chase, I really see a potential in their app being able to help me from 'Compulsive Shopping' and 'Retail Therapy'... :) because Cladwell shows me so many outfit options from what I have. I spent 7 hours today logging 144 items and it is showing me something 102k outfits! Imagine! 102,000 different outfits SITTING IN MY HOME CLOSET!! I initially subscribed with my everyday email and they said that the free trial is for 3 days. I used the app for one day and decided to quit it before getting charged on my credit card. I had signed up for their service on my desktop, then downloaded their app from Playstore on iPad. So far, so good. Well. I read a blog post that had some neat tips on how to use Cladwell to optimize your wardrobe, and decided to subscribe again. But I wanted to use my work email for this... but because I went straight to my iPad this time, I ended up creating a new account from iTunes. If you are an iTunes user, be warned!!! 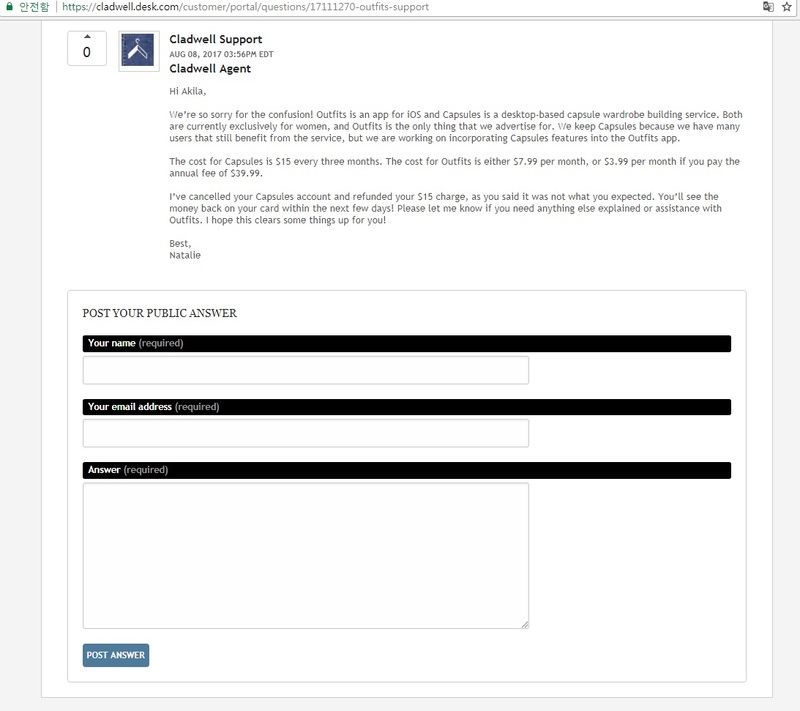 If you don't want to pay for your Cladwell service, quit within the first 48 hours of subscribing. Apparently, iTunes policy is really specific and Cladwell can't do anything about it. 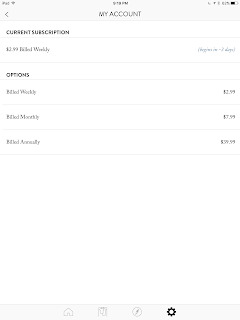 I noticed that when I signed up from my desktop, the monthly subscription was $7.99, or 6 months for $5.99 per month, or yearly plan for $3.34 per month. I got the 3 free trial days yes... but... this time, they were showing a 'weekly' subscription!! Whoa-!! At first, I wondered if I was being offered this because I was a returning subscriber or something... But after a lot of digging around... 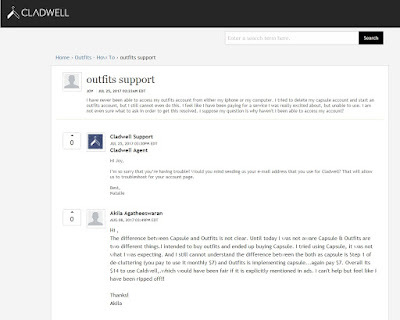 I found that Cladwell's services are running on completely different platforms. The weekly subscription was not available from my desktop account, ONLY on my iPad (iOS) account... And it goes for $2.99 each week. I think as a newcomer, the weekly service is a nice mid-step offered. When you try something for the first time, you don't know how much the service is going to be worth to you... So... going from the 3 day (2 days technically) free trial to a weekly, then monthly or annually made a lot of sense. And it really gives great flexibility to the users! As you can see, from the desktop side, the weekly subscription was not possible. And from the Apple's iOS or iTunes side, the monthly subscription paid for 6 months was not possible. I don't have an iPhone so I don't know how this factors in for the subscriptions via iPhone. But, so far, regarding the website's structure, Logging in part also had an interesting flow. I could register from my Desktop, then login to my app on iPad. However, the reverse was not possible due to iTunes restrictions I think. 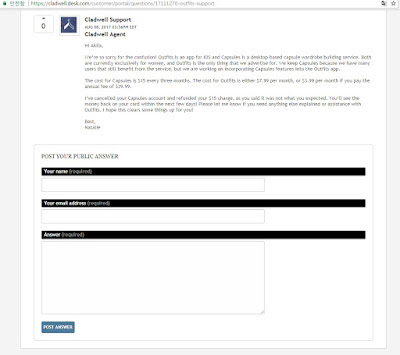 To back up what I have gathered above, here are two screen captures from the Support section I read tonight that clarified Cladwell's services and features. 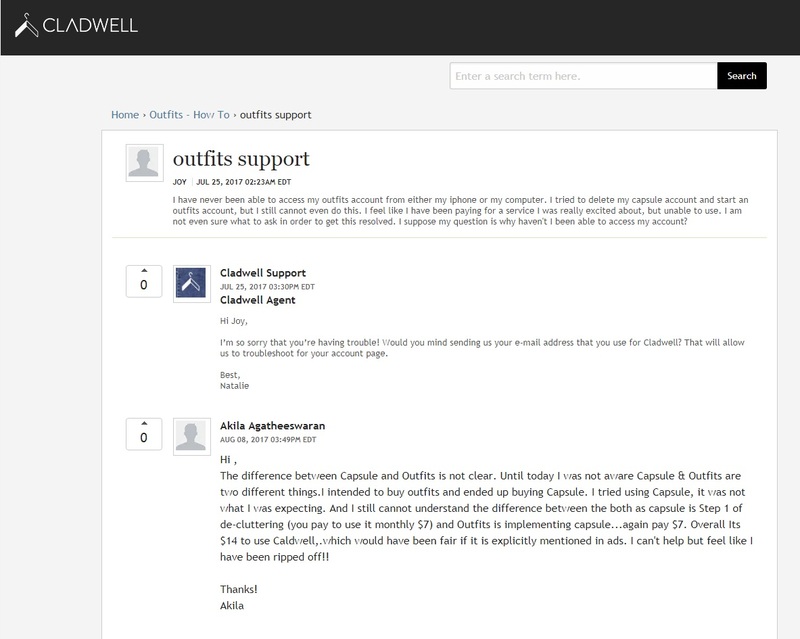 (Link) As you will see, Cladwell DID refund the money and was supportive to the client. But I think the info I detailed above could have been explained more transparently on their main website. Maybe include a full page on how they are operating... so users can make the BEST CHOICE regarding their services. I still feel great hopes for Cladwell working for me! I did the math... and my annual subscription which I got just prior to writing this blog post... comes down to a $1 USD per month. 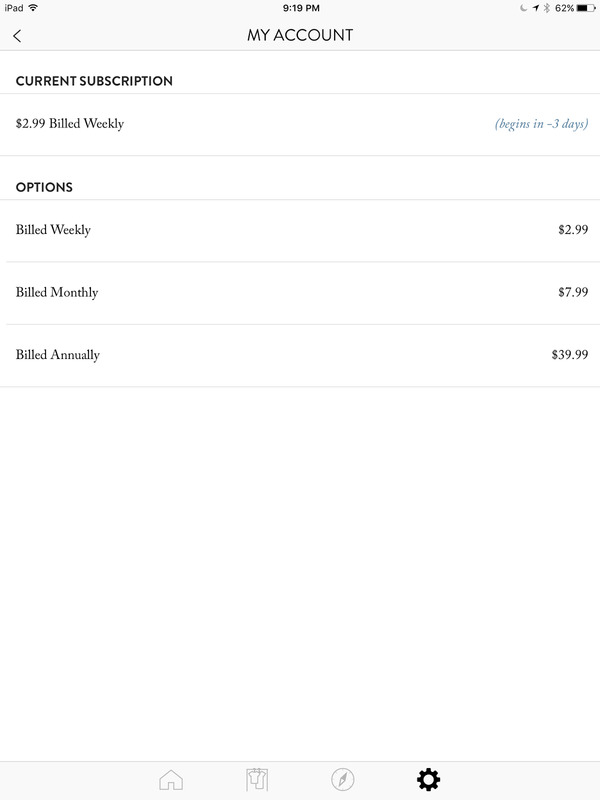 Annual Subscription $39.99 divided by 12 months is $3.3325 which I think they rounded up to $3.34 on their main page. And here are two screen captures for Cladwell's beatifully streamlined outfits for me!! The first one is a list of my 144 items. My clothes here are 'good enough approximations' to what I really have! Secondly, here are the incredible 102,000 outfits Cladwell is showing me!! Just from what I own!! I can totally shop from my own closet now~!! 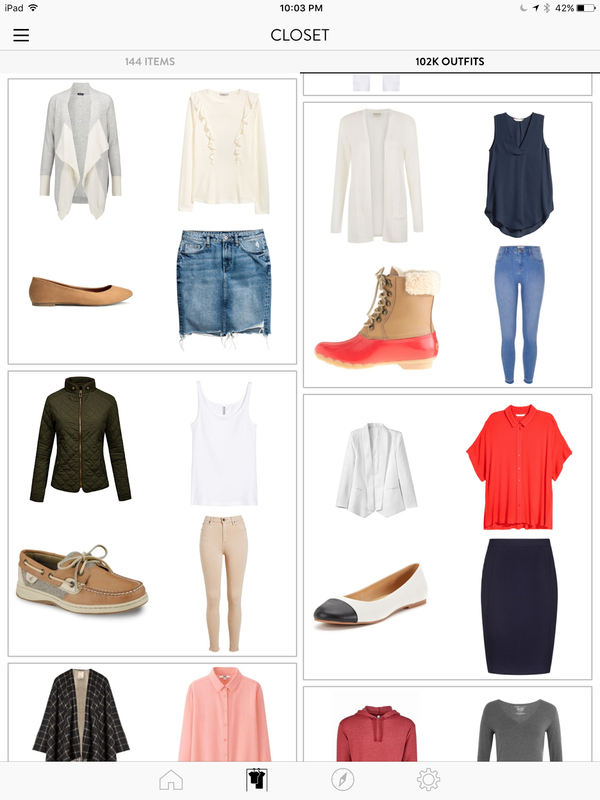 There are so many outfit combinations I haven't tried yet and that really really excites me! !